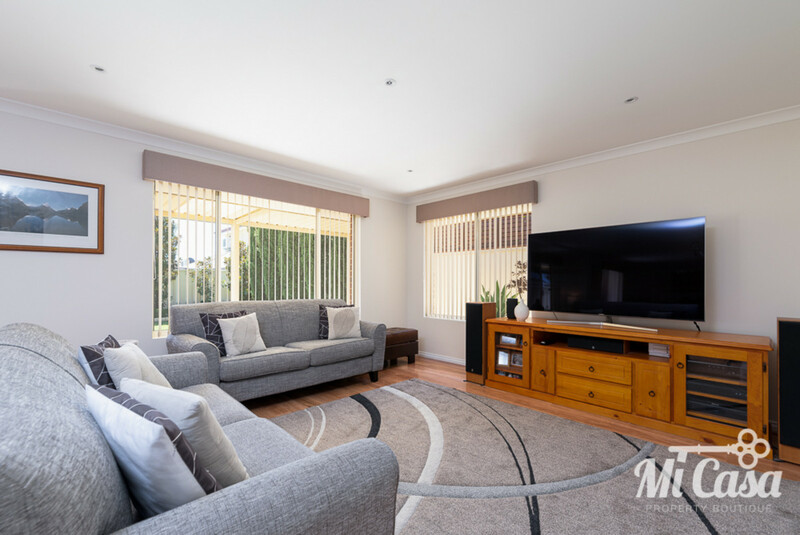 This is the relaxing home that you have been looking for…simply move in and put your feet up! 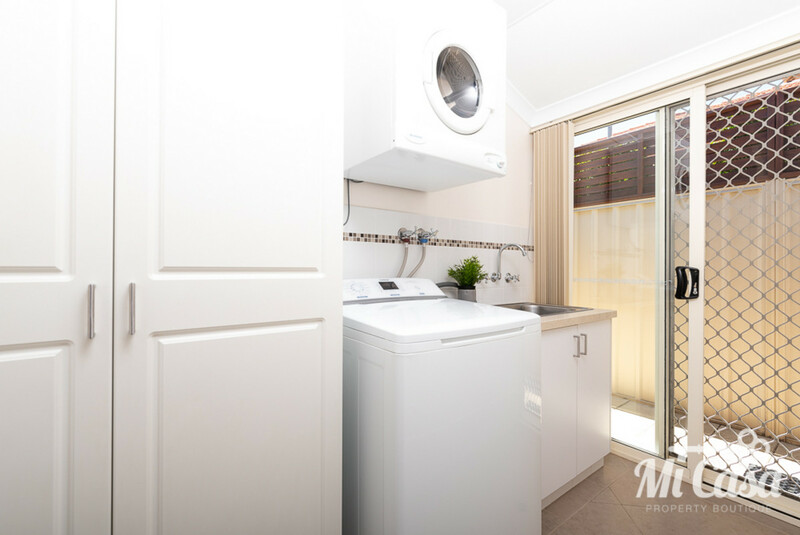 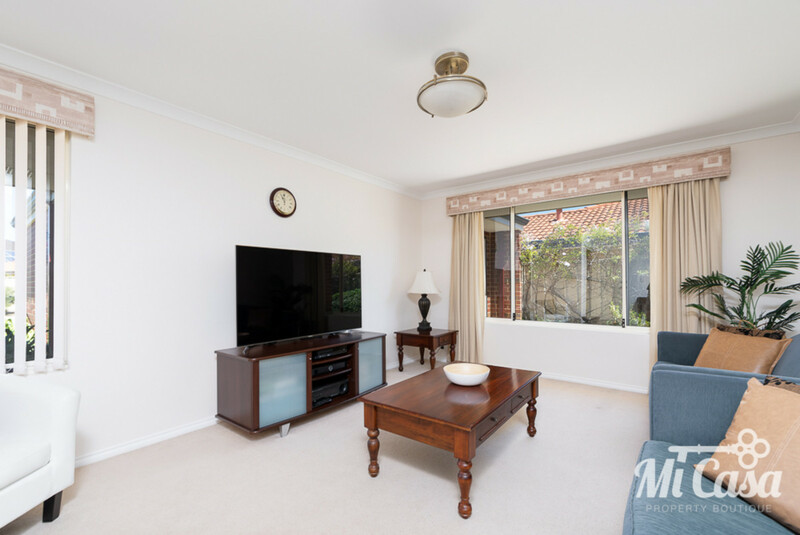 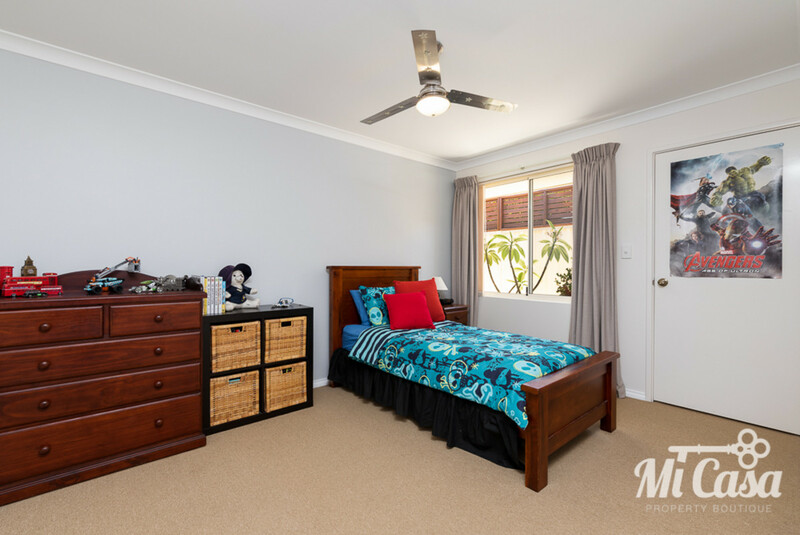 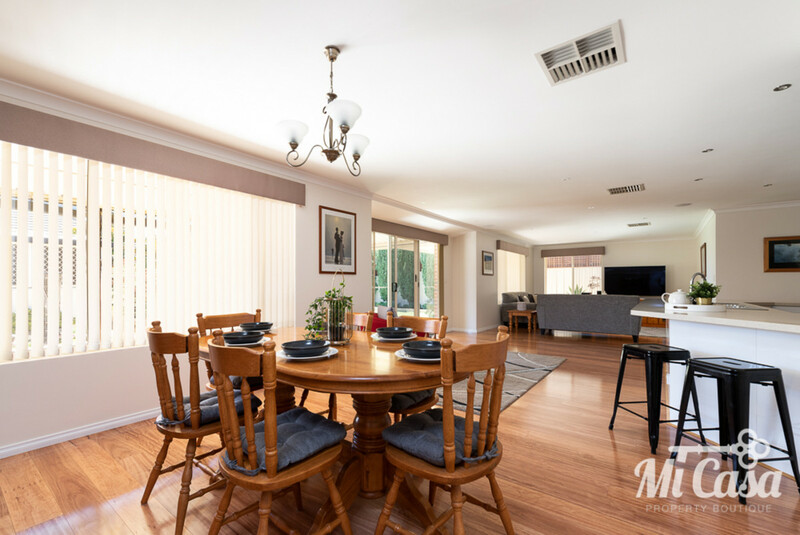 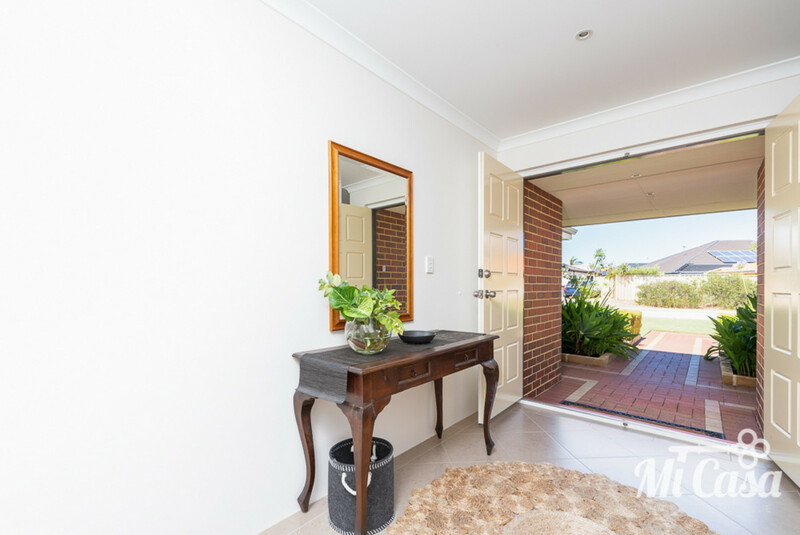 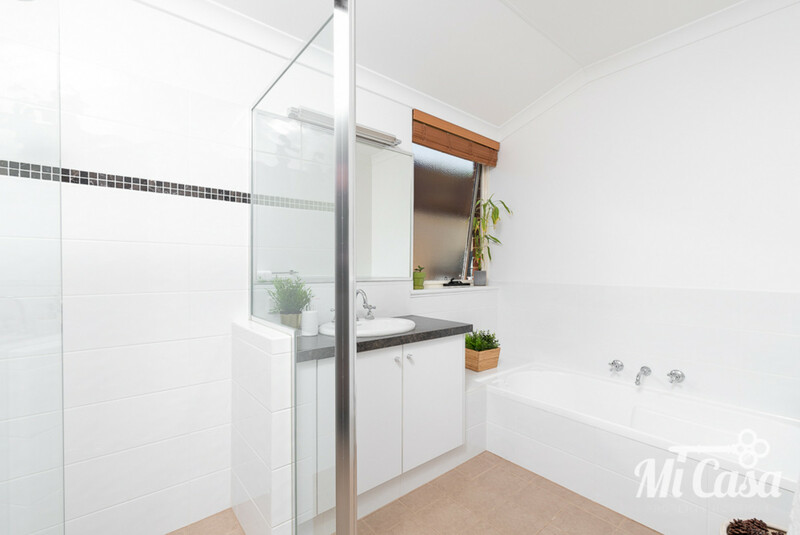 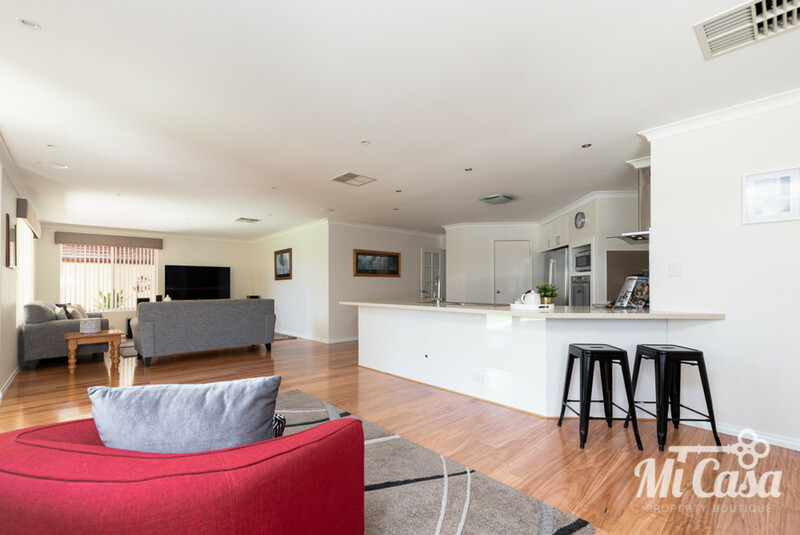 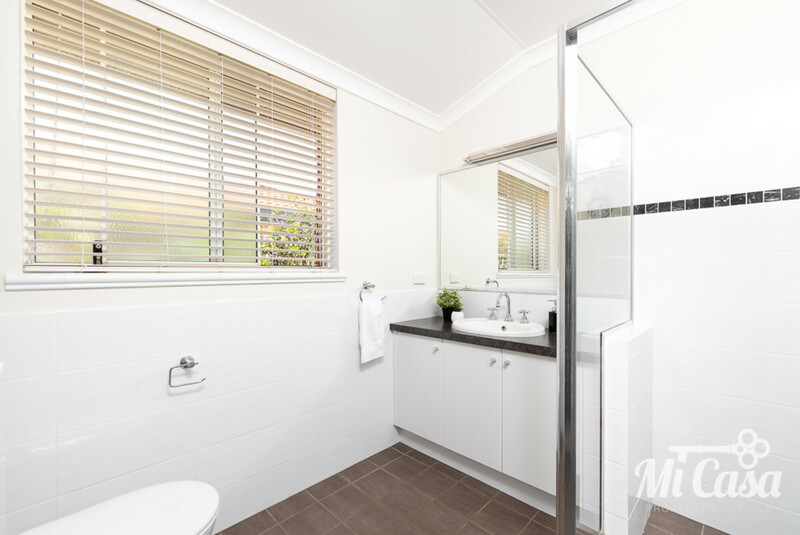 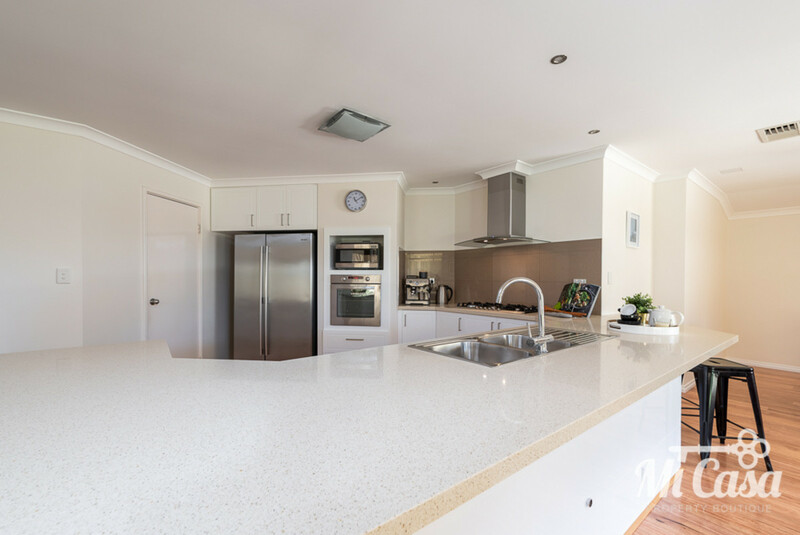 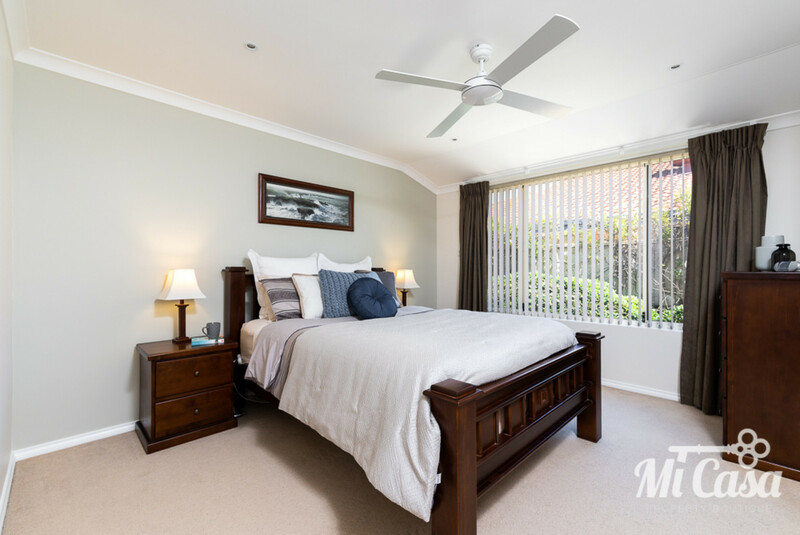 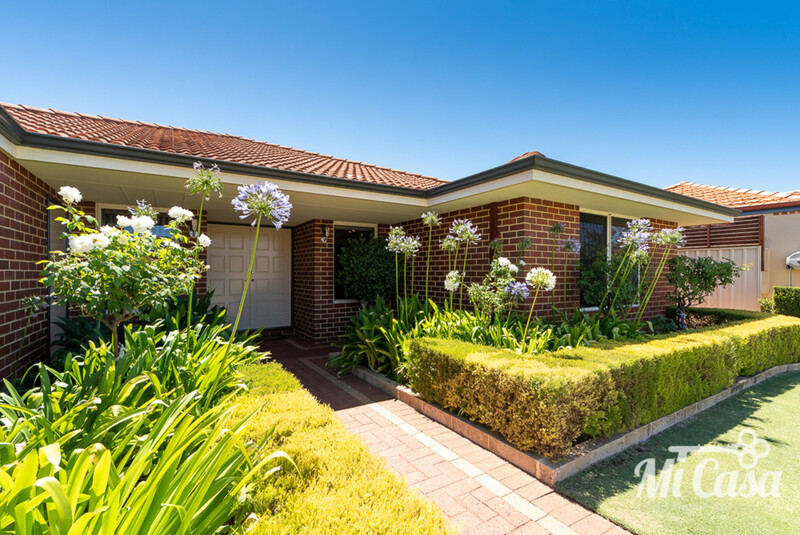 A modern makeover has been finished to perfection at 15 Rodena Way, Canning Vale. 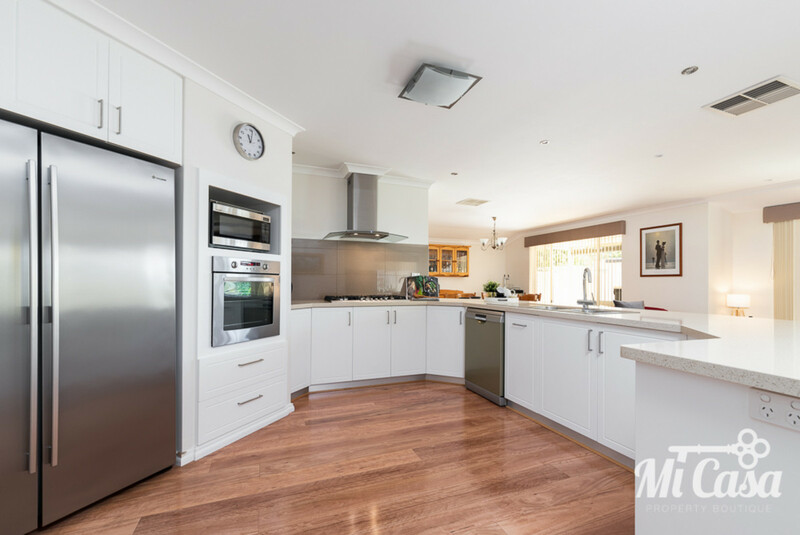 This immaculate energy-efficient family home comes with so many extras, including a 3KW solar system, LED lighting and a separate cabled network all managed effortlessly by a central communications cabinet. 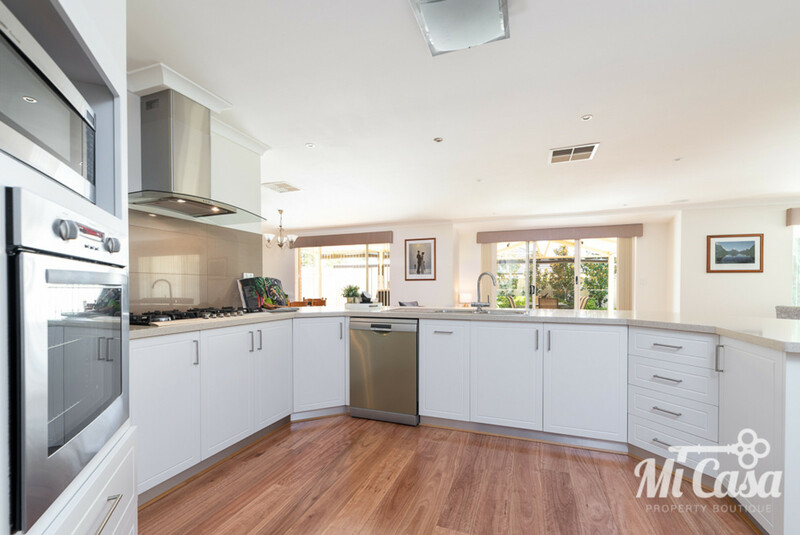 The generous open-plan Kitchen, Entertaining, Dining and Living is a real entertainer’s delight. 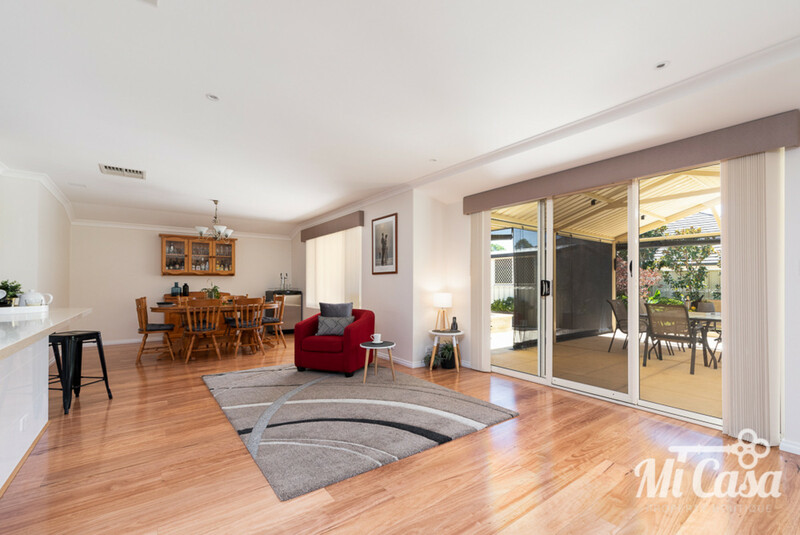 Sunshine fills this area with warmth and an expansive doorway offers a seamless flow between the inside and outside living zones. 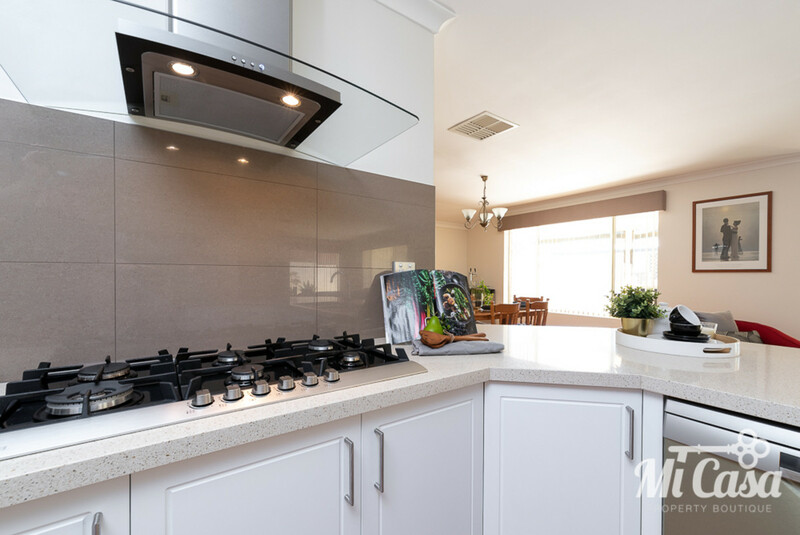 The central kitchen showcases large Caesarstone bench tops with breakfast bar, walk in pantry, quality appliances and a plumbed in water filter. 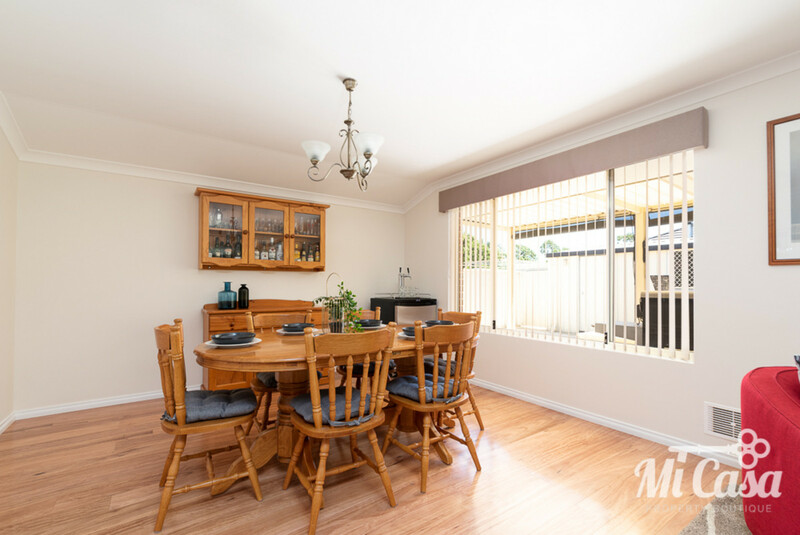 Perfect for Sunday brunch, or larger celebrations with family and friends. 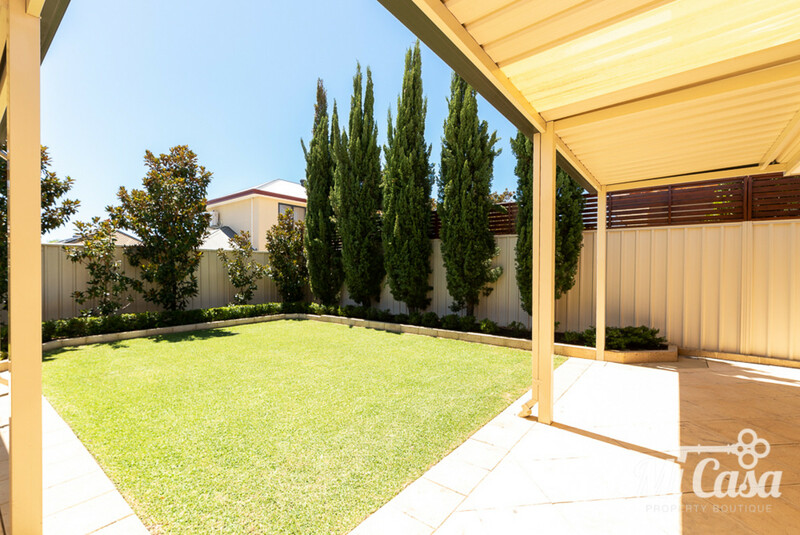 Unwind in the pristine backyard featuring many mature trees and shrubs. 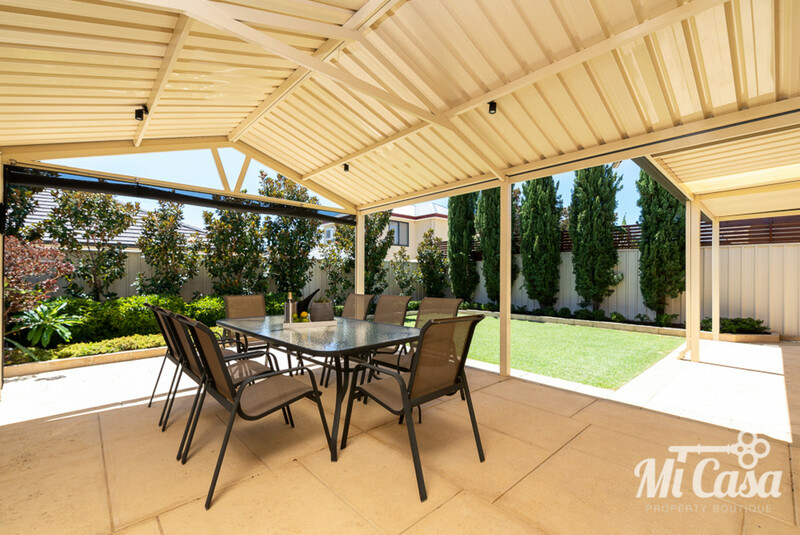 A large pitched patio, limestone paving, mains gas BBQ connection, quality blinds, the soothing sounds of a delightful water feature and the greenest lawn, great for the kids to play in sight of the family room. 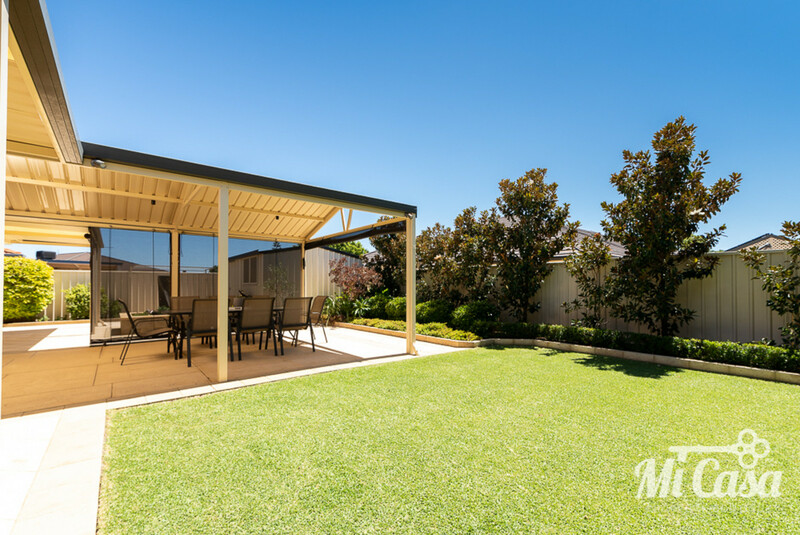 The three-station bore reticulation makes maintaining the impeccable lawns and established gardens a breeze. 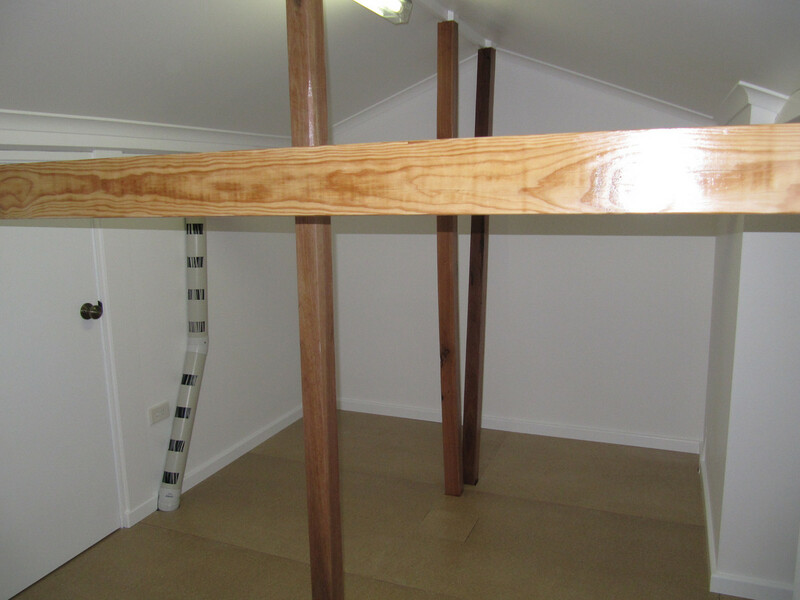 A large powered workshop/shed more than caters for DIY enthusiasts. 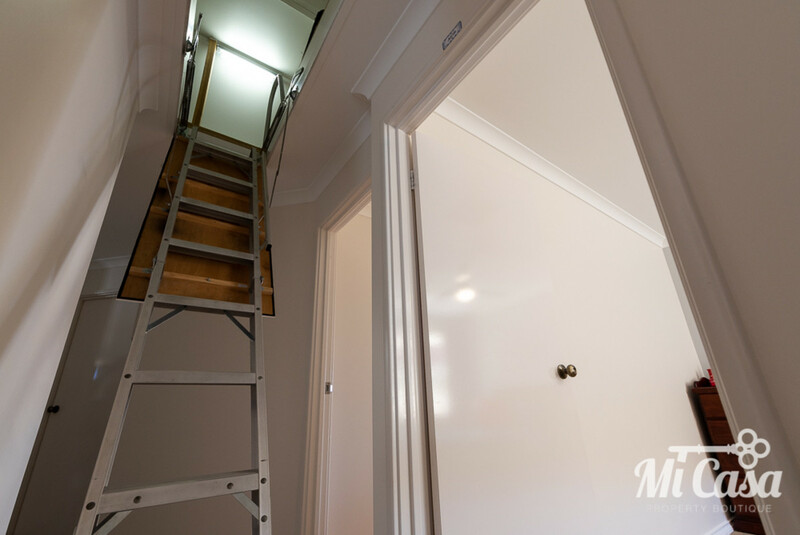 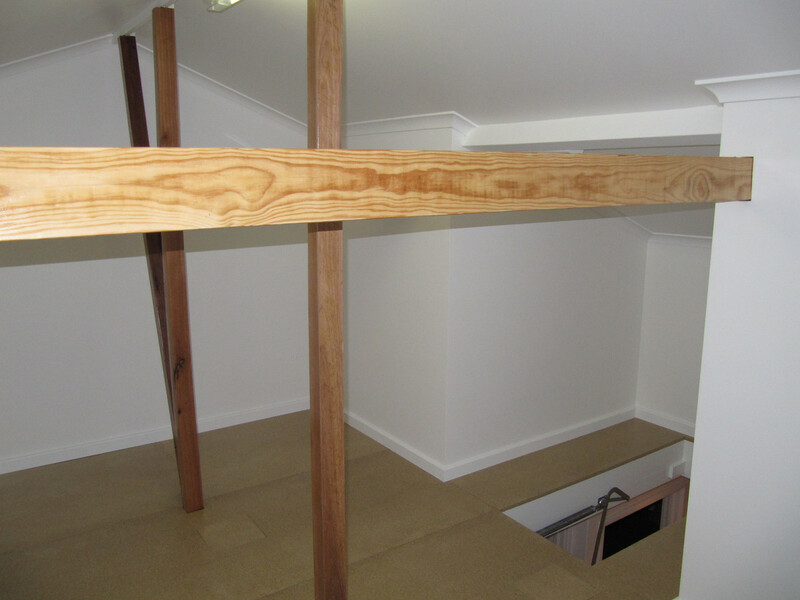 No need to worry about storage in this property as it also boasts an insulated attic perfect for storing all of your belongings. 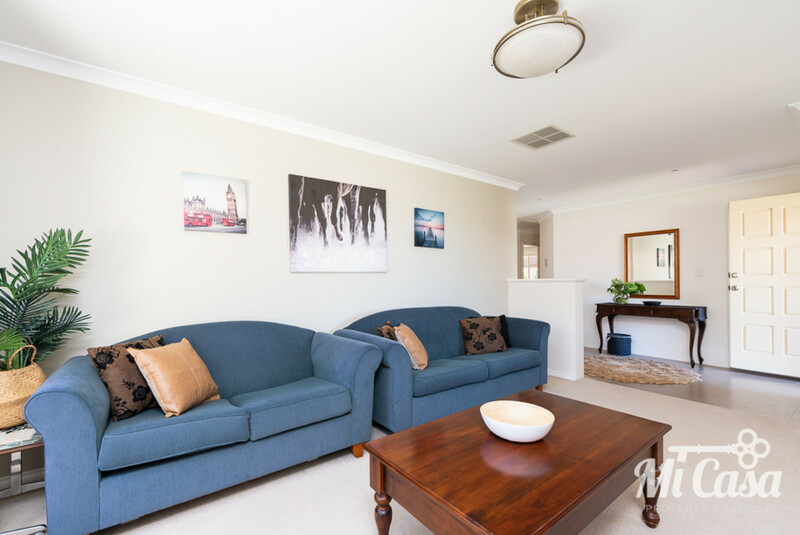 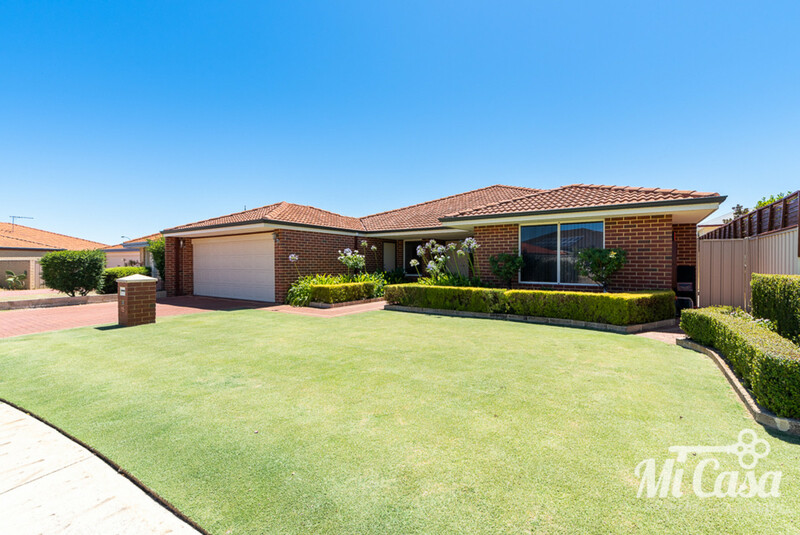 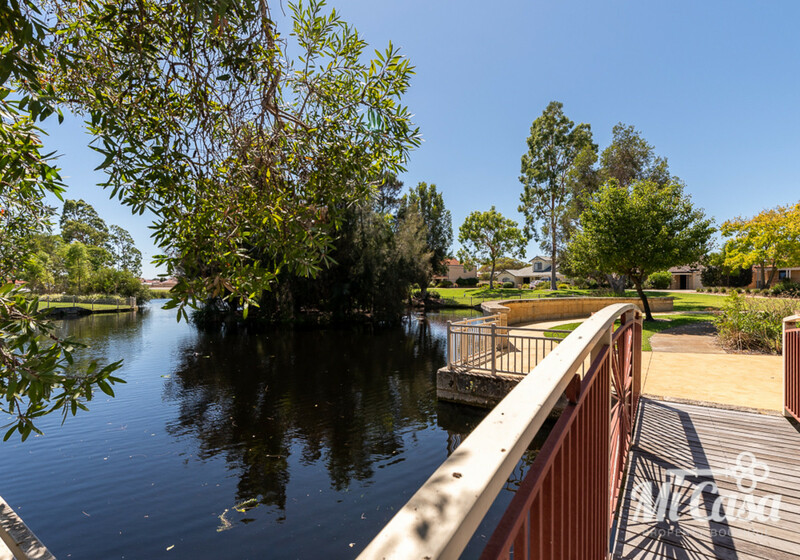 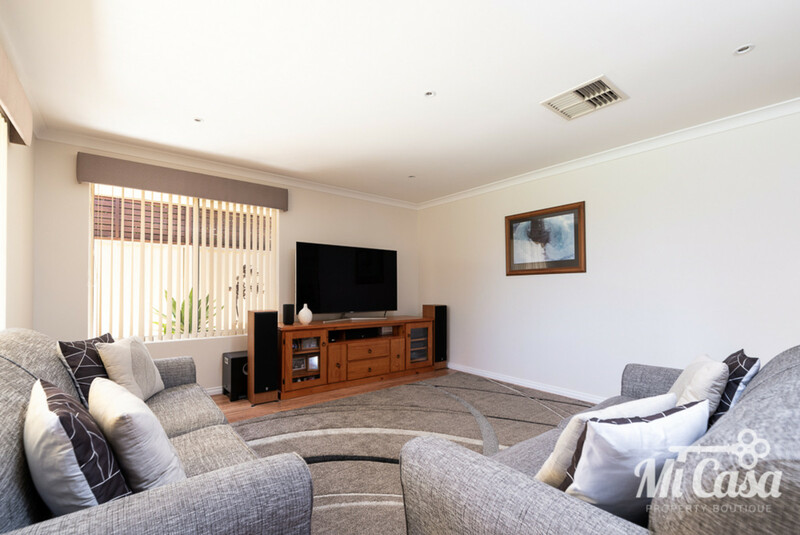 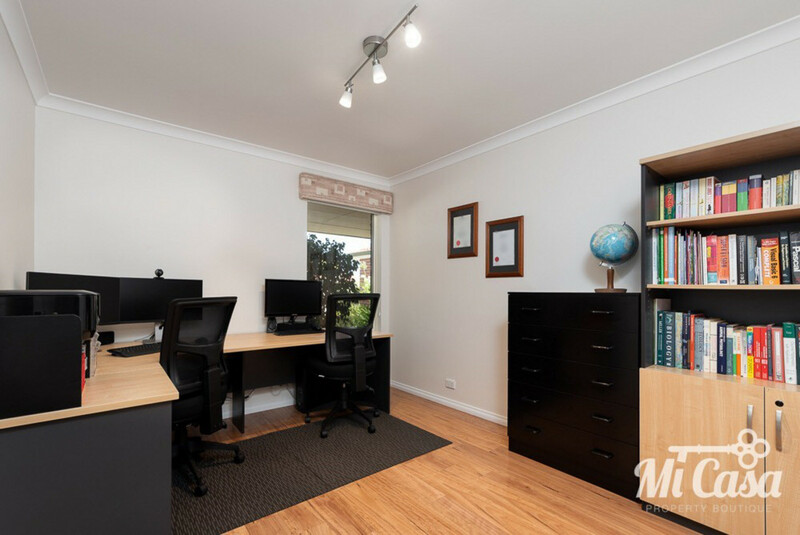 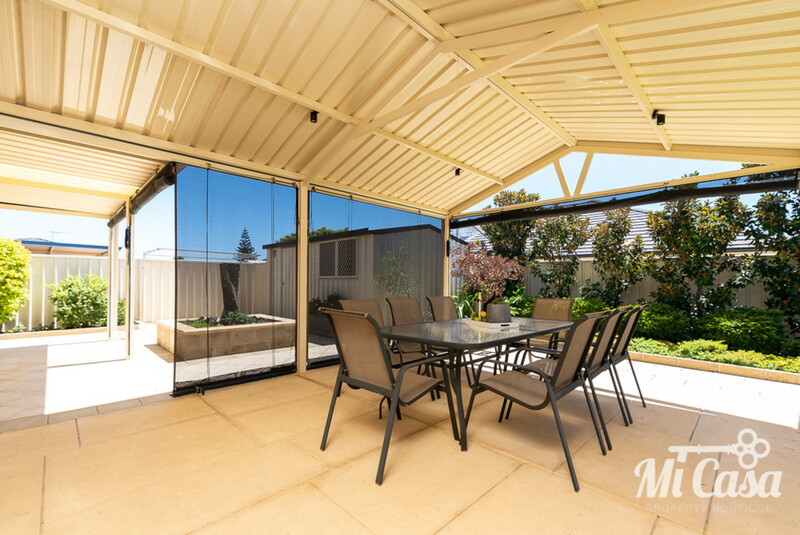 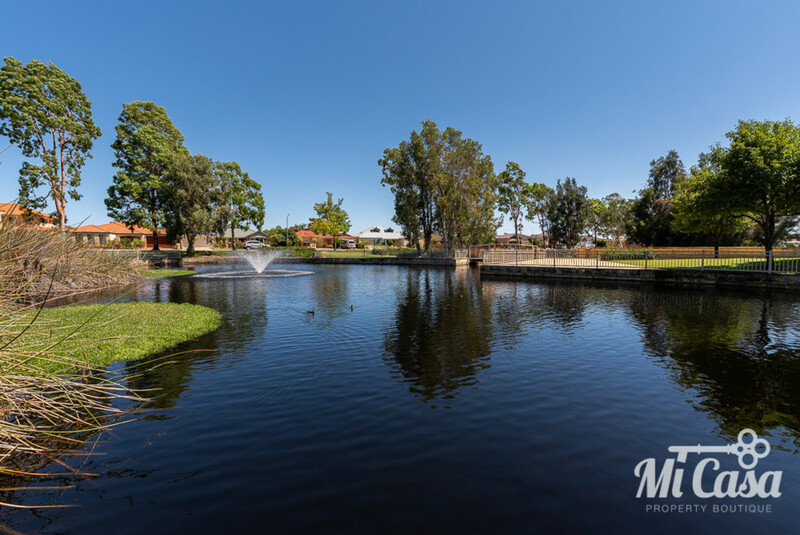 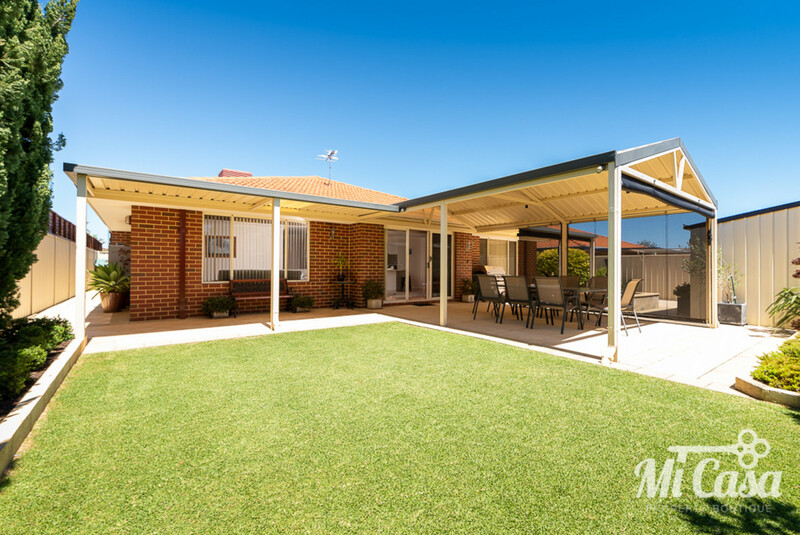 Positioned on a friendly street, this home will allow you to enjoy parks, cafés, schools, garden centres, churches and everything wonderful that Canning Vale has to offer. 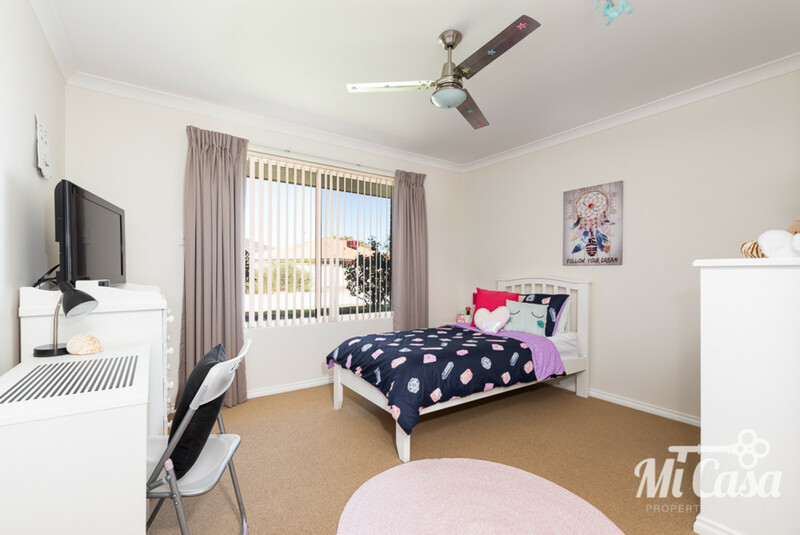 For further information please call Marie Staniland on 0466 336 488 or Karen Greenwood on 0400 205 322. 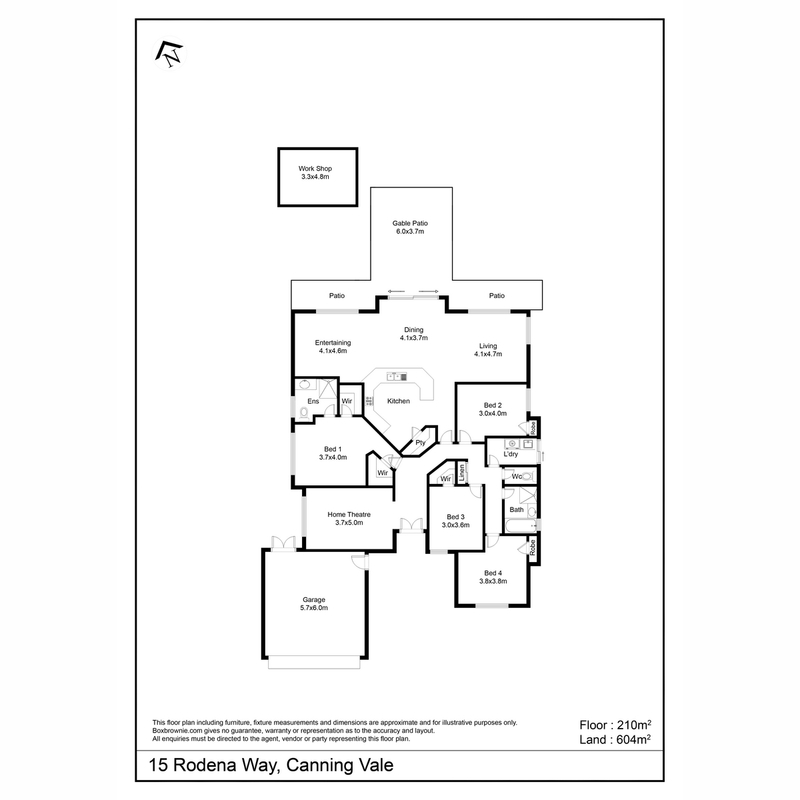 We look forward to seeing you at one of our Home Opens soon.